Compass Bank complaints number & email. Get verified information about Compass Bank complaints email & Phone number. Call 1-800-266-7277 to make a complaint to Compass Bank about their service. They expect to be able to resolve the majority of complaints at this stage, but if not there are basic further steps to take to seek a resolution. The website explains things clearly. Compass Bank operates an easy to follow complaints procedure. The first step is to call the complaints line on 1-800-COMPASS 1-800-266-7277. They say the vast majority of complaints are successfully resolved at this stage. If yours is not, then the subsequent steps to take are clearly shown on the website. Full contact details are listed long with how Compass Bank will handle your complaint and what they require from you. BBVA Compass Bancshares, Inc. is a bank holding company headquartered in Birmingham, Alabama. The company is the 30th largest bank in the United States. The company was founded on March 2, 1964 as the Central Bank and Trust Company by Harry B. Brock Jr., Schuyler Baker and Hugh Daniel. Hopefully, We helped you to get some genuine records for Compass Bank Complaint information. 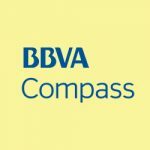 Use below complaint form to discuss problems you have had with Compass Bank, or how they have handled your complaints. Initial complaints should be directed to Compass Bank directly. You can find complaint contact details for Compass Bank above.